Mission: My Mission is to provide quality information, innovative online resources and opportunities to anyone who wants to improve the ebusiness and business technology skills needed to be successful in both work and life. Areas of Expertise/Experience: IT Professional/Digital Marketing Pro, 16 years experience. Specializing in Business Technology and Digital Marketing (Web Development and Social Media Marketing). Google Adwords, Analytics & Mobile Site Certified, Microsoft Accredited Bing Professional and HubSpot Certified Inbound Marketing Consultant. Accomplished and Award- winning Web Designer, 15 years experience. 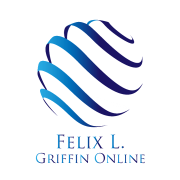 Proprietor of Lord & Griffin IT Solutions, based in Dallas (Plano), TX. (since 2001), Web Development, Web Hosting, Social Media and Internet Marketing Company. AA, Computer Information Systems from Ashworth University. Background in Business and Marketing..
As an Entrepreneur, IT Pro, Social Media & Internet Marketing Consultant, I offer fresh insight and a passion for innovation and technology; exceptional knowledge in regards to planning, developing and implementing successful e-business, digital marketing and network building strategies . Today, considered one of the premier players in the field of Social Media, Internet & Network Marketing and Information Technology. By creating the reputation as a specialist in social media-internet marketing and web development, I’ve become an obvious choice for start-ups, entrepreneurs, small businesses and non-profit organizations as well as sought after writer and speaker. I love being around family and friends. Love meeting new people. I enjoy Reading, Traveling, Browsing the web, and listening to Music- Christian/Gospel, Jazz, Classical and New Age.. I love animals, especially Dogs; though at this time I only have a cat, named Prissy (little girl wanted one). Things about me: General- Reading, Business, Sports, Music, Golf,Traveling, American Pit Bull Terriers & Boxers, Cars, Watches and Religion. Music- Gospel, Jazz, Classicial and New Age. Movies- Favorites: Sleepless in Seattle, The Brothers,The Best Man and Alfie. Television- Big Bang Theory, MTV (MTV Cribs), CNN, Headline News, ESPN, History Channel/Discovery Channel, Linked TV. I watch less than 10 hours of TV a week. Books- Bible, Think and Grow Rich by Napoleon Hill, Rich Dad, Poor Dad, As A Man Thinketh, The Strangest Secret, Unlimited Power: A Black Choice by Anthony Robbins and Joseph McClendon III, and APBT Books and Dog breeders magazines as well as Magazines; The Robb Report, DuPont Registry, Forbes, Fortune/Fortune Small business, Black Enterprise, Entrepreneur, Ebony and Upscale. Role Models- Jesus Christ and Lorenzo Griffin (My Dad). Contact me! I’d love to offer my services to you.